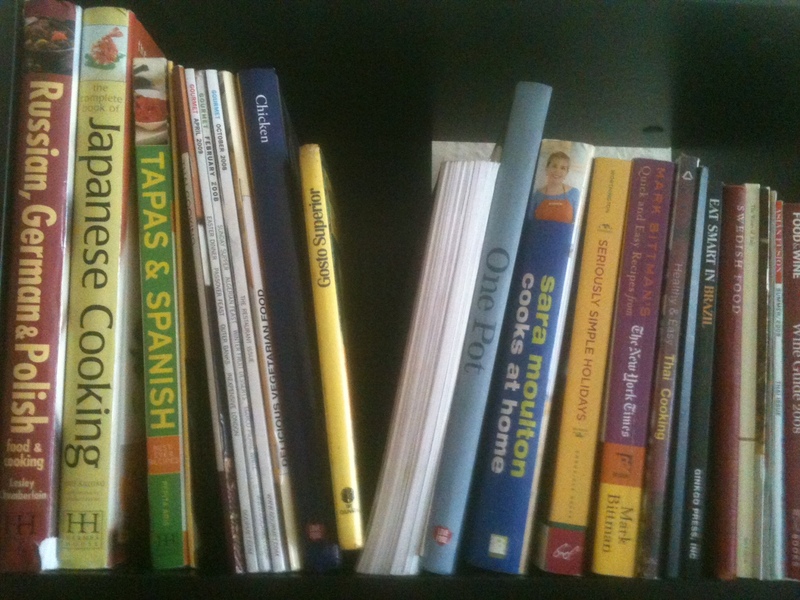 As an amateur cook hoping to discover more and more about new recipes and techniques, I have amassed quite a collection of cookbooks over the years. Though I have never picked up any of Julia Child’s tomes or The Joy of Cooking, I have often browse shelves for books on international cooking, easy everyday dishes or whatever calls my attention. 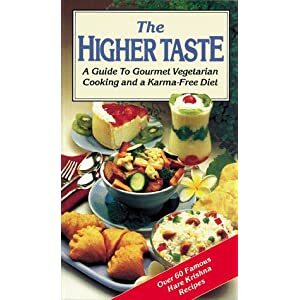 One of the first I ever bought was The Higher Taste: A Guide to Gourmet Vegetarian Cooking and a Karma-Free Diet, a collection of vegan recipes collected by the Hare Krishna religion. I don’t exactly remember when I got it – I believe I got it after being pestered to death by a Krishna monk in Fortaleza after we engaged into conversation about food. The book is very interesting – each chapter covers full four-course meals that range from Italian, Chinese and Indian. This was the first time I had ever seen true vegetarian recipes that worked, with simple solutions for the substitution of meats and eggs in classic recipes like fried rice, quiche and even pasta with meatballs (their version is made with ground cabbage, ground cauliflower and chickpea flour – some recipes can be found here http://food.krishna.com/cookbook/higher-taste ). I have gone through most of the recipes in the book with very satisfactory results. I don’t follow them fully anymore, and have adapted many into my taste (for instance, they consider garlic and onions impure – but I don’t). The book also includes a preface explaining the philosophical reasons for becoming a vegetarian – which makes sense even if I still haven’t completely succumbed to the idea of going completely meat free. I was a longtime subscriber of Gourmet magazine, and its unexpected demise a few years back was a very sad thing. I still have all my copies (collected over a period of about five years) and often refer to them when I want to make something extra-special. My cookbook shelf is constantly growing, and includes tomes like Linda McCartney’s Linda On Tour, guides to Eastern European (I have to go to that one every now and then Thai, Brazilian, Japanese and others. However, I frequently go back to the stained pages of my old copy of Higher Taste. What can I say? I’ve cooked these dishes over and over, and I know that they work quite well.